Boost your business by reaching out to potential customers with LA Flyer Distribution. Get an edge over your competition by reaching more customers for your business with the best flyer distribution company based in Los Angeles. Are you on a lookout for a trustworthy team of professionals who can get your flyers, brochures, leaflets, etc delivered to a targeted demographic? LA Flyers is an industry leader boasting an impressive 20+ years of experience in flyer printing and distribution services in all of Los Angeles, San Diego, San Jose, San Francisco. Our team of distributors is highly trained and is supervised by experienced managers to ensure that your brand is reaching the right people. Your potential customers are increasingly being spammed online and offline with online ads, emails, and billboards. 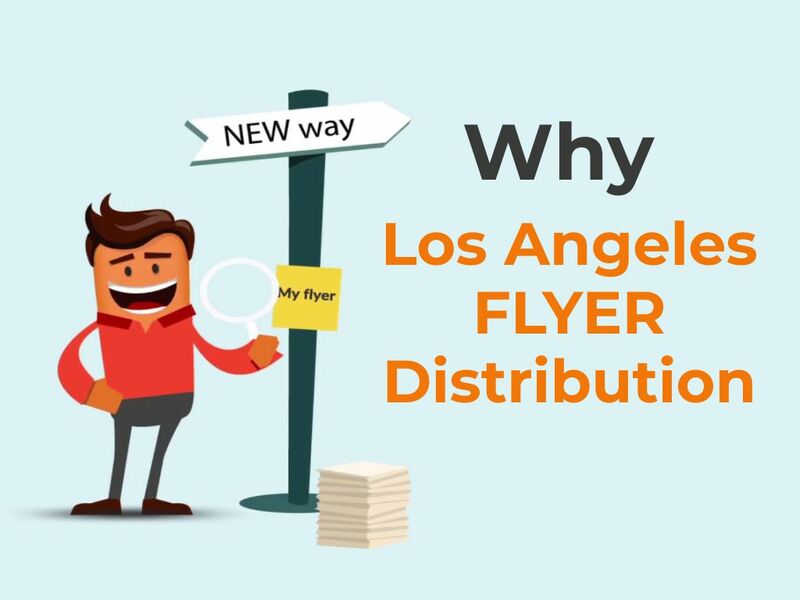 This is where we come in into the play, LA Flyer Distribution is a company that can help you cut through the noise and reach your customers’ doorstep with quick and cheap flyer delivery services. A Team You Can Trust From engaging flyer designs to Door-to-Door distribution, our team is on a mission to help businesses like yours to grow. Lowest Printing Prices We print your materials in-house to ensure top-notch quality and minimize the printing costs. The end beneficiaries? Our clients. Proof Of Delivery Our supervisor will keep in contact throughout the distribution campaign and give you a detailed map of the areas covered. Hyperlocal Targeting From moms to millennials, reach out to your audiences based on zip code, city, or even highlighted areas on the map. Quick Turn Around Time Our integrated designing, printing, and distribution processes result in a quicker turn around time without any compromises. Every single flyer is delivered using our GPS tracking technology. We track the flyer from the print shop to the doorstep and you get a comprehensive report following every campaign. You choose where to distribute, and we’ll track your flyer’s from the print shop to the doorstep and you get a report following every campaign. Using the very latest GPS technology our People are monitored during the door to door distribution in the drop zone giving you complete satisfaction that the job has been completed. With full GPS tracking of the delivery process and the reports supplied by each Post Person we can confidently say your valuable and important flyers will be properly delivered.